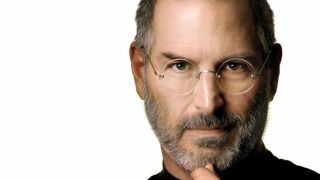 Did Steve Jobs's own words damn Apple in anti-trust suit? Apple's attempts to have the anti-trust suit brought against them by the US Department of Justice thrown out of court were denied on Tuesday. Federal Judge Denise Cote cited previous statements from Apple's former CEO Steve Jobs as justification for the dispute over e-book pricing to continue. Jobs's comment was included in the DOJ's case against Apple. "We'll go to [an] agency mode, where you set the price, and we get our 30 percent, and yes, the cusomter pays a little more, but that's what you want anyway," Jobs reportedly said. He added that prices would "be the same" at Apple and Amazon, which the DOJ contested in the suit. The DOJ's suit alleges that Apple colluded with book publishers including Hachette, HarperCollins, Simon & Schuster, Macmillan, and Penguin to standardize e-book prices when the publishers should have been competing with one another. "...The cusomter pays a little more, but that's what you want anyway," Jobs reportedly said. Hachette, HarperCollins and Simon & Schuster were quick to settle, but Apple insisted that the company has done nothing wrong, going so far as to say that they're eager to begin litigation. Jobs's statements were previously known, but it was unclear what importance they would play in the case until now. "It has everything to do with coordinating a horizontal agreement among publishers to raise prices, and eliminating horizontal price competition among Apple's competitors at the retail level," Judge Cote said. The suit alleges that Apple contacted major publishers in 2009, just before the launch of the iPad, and hatched a plan to force Amazon's then-low e-book prices up to make Apple's iBooks store more attractive to consumers. At the time it was widely assumed that Amazon was selling e-books at a loss in order to stimulate sales of its Kindle devices. "With the fortuitous entry of Apple into the market for e-books, and the decision by Apple to join the price-fixing conspiracy, that horizontal conspiracy became a potent weapon for engineering a fundamental shift in an entire industry," Judge Cote said. If the court rules against Apple and Macmillan and Penguin, the two publishers who have yet to settle, the companies could be forced to implement anti-trust compliance programs and pay hefty fines.